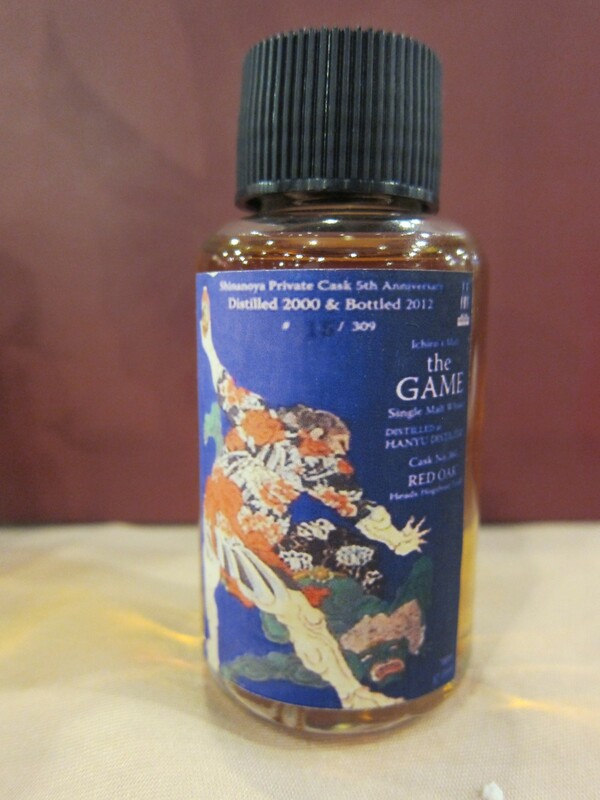 I have introduced Hanyu’s Game One 及 Game Two in previous articles and now the Game Three eventually. There is no information about the barrel for first session’s aging but the finishing is Red Oak Heads Hogshead, i.e. replaced the top and bottom of original hogshead with red oak plates. The so-called red oak is Quercus Rubra, common names northern red oak and champion oak. Please note that this red oak Quercus Rubra is not that Quercus Robur which is commonly used for production of Sherry casks for aging whisky. Their names look very similar. Quercus Rubra is usually used as materials of making furniture and wooden floor. It is rarely used in making barrels for aging wines and spirits. 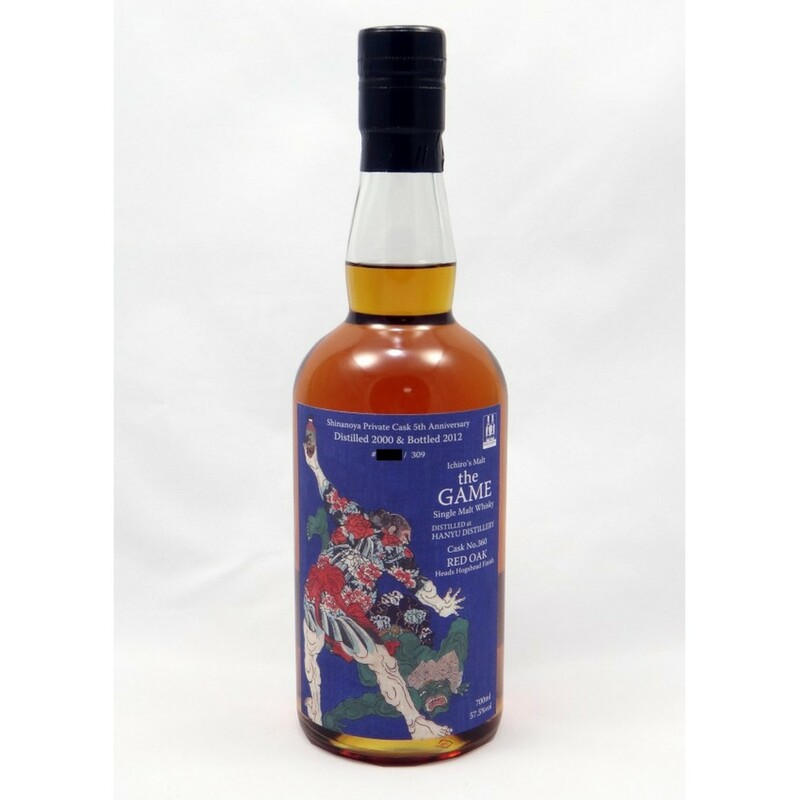 Its wide-open pore in the growth rings and lacking of tyloses cause the tendency to leak if it used as materials of wine and spirit barrel. Let’s change the topic to its label. I have mentioned in the previous article that the label of Game does include some elements from the label of previous release. 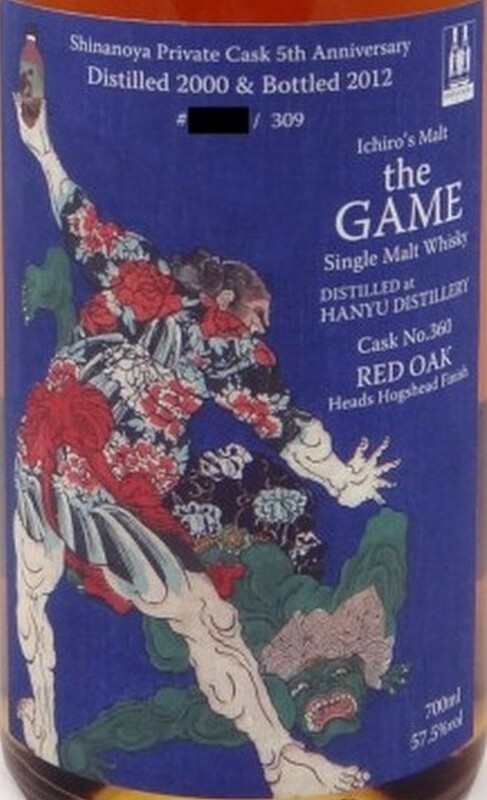 The label of Game Three, describes a tattooed Japanese male who had been appeared in the label of Game Two, holding a bottle of Game Two with his left hand and posting a repressing gesture by his right hand, facing a humanoid creature laying on the ground. I was really unable to imagine what “Game" were they playing. After checking the information, I realized that they were “playing" Sumo, a Japanese style wrestling. You know? This is art. I think I do better drink my whisky…. Conclusion: Fruit note, paired with fine coffee and chocolate, though accompanying with smell of chemicals, no offensive or imbalance feeling. Powerful at palate but not irritating, fruity than nose, plastic and carton those inedible substances persisting. Medium length aftertaste, mild bitterness of dried mandarin peel roasted wood. 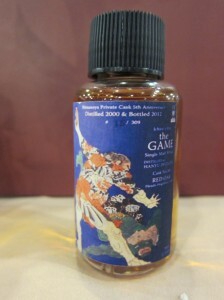 Rich in favor though some of the elements not appreciated by most people, harmony in portfolio, a good whisky indeed.